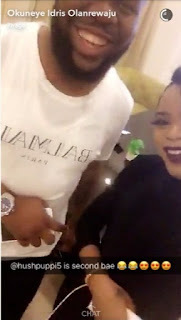 Nigerian male Barbie, Bobrisky shared a video via Snapchat of himself meeting with Hushpuppi in Lagos and jokingly referred to him as 'Bae 2'. He went to pick up an invite to a party from the Flamboyant club spender and speculators began to assume that they had sexual relations. 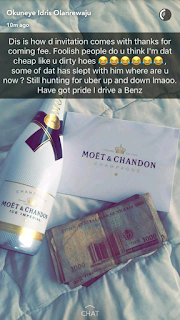 Bobrisky has now angrily debunked this in a response to his 'haters'.